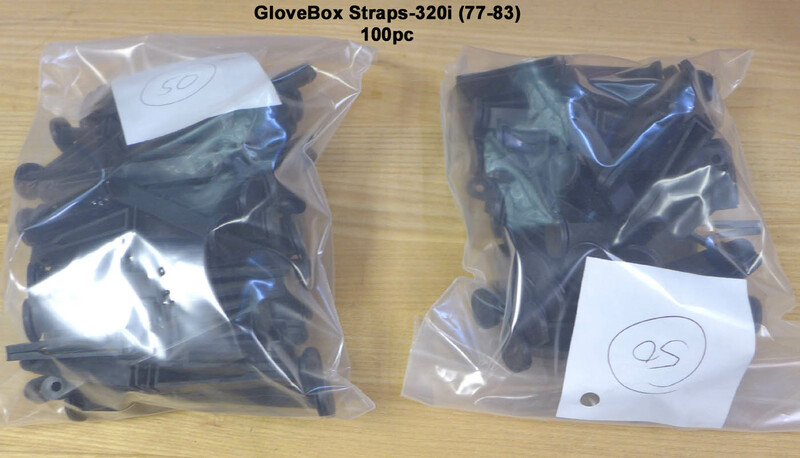 Misc BMW Small Parts (glove box straps for 320i, 77-83...takes 2 per car)(lot of 130pc) - Click on photos to enlarge for details. BMW part number 51161822093. New/old stock...made in Germany, not China. Value of this lot at list price is $1,914.90. Value at sale pricing (if purchased individually) is $780.00. Or you can purchase the whole lot for $125.00 (ie, $0.96 each). Actual shipping costs apply.